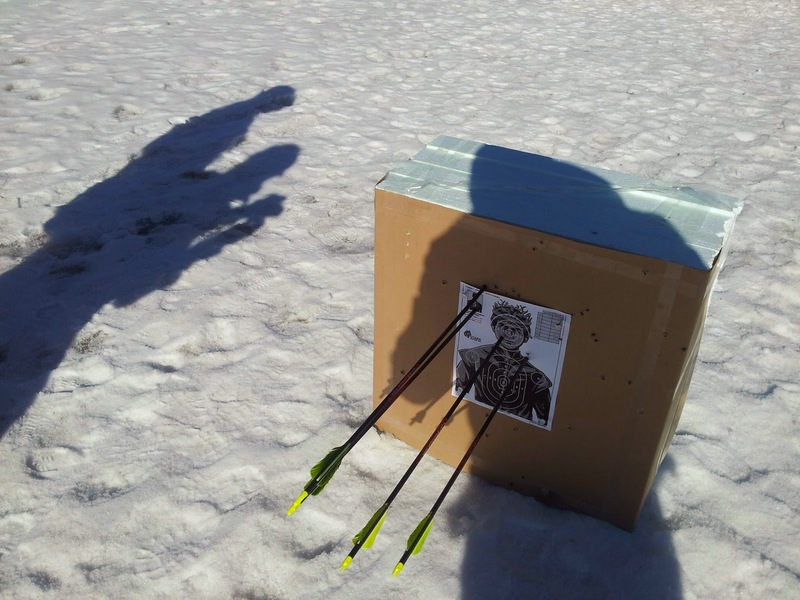 Making a homemade archery target that is durable is harder than it sounds. The target has to be soft enough that it doesn't damage your arrows, but hard enough that it doesn't fall apart easily. And preferably cheap and easy to make. The archery target shown below cost roughly $24 to make and is made from blue styrofoam from Home Depot, a piece of thick paper (similar to bristol board or cardboard) and clear plastic hockey tape. 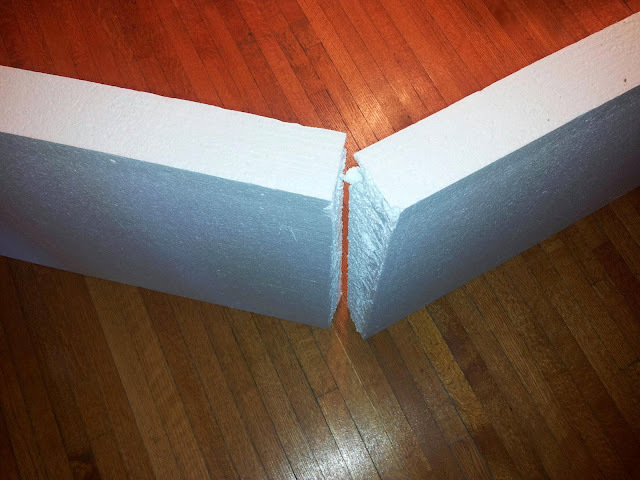 To make buy yourself a 3 inch thick piece of styrofoam that 24 inches wide and 96 inches long. Cut in half and then in quarters with a knife, and then tape together along with a piece of cardboard or bristol board. 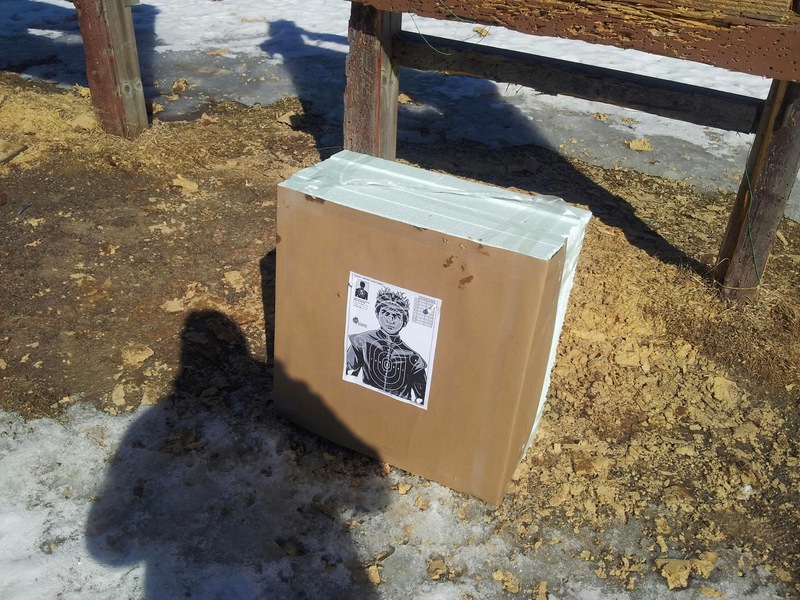 Given time you can add extra layers of cardboard or other materials to make an even more durable archery target. 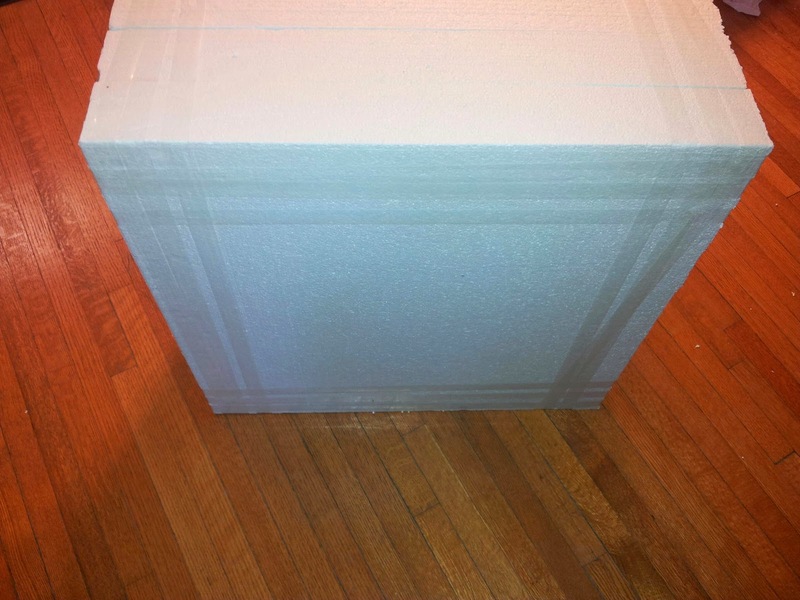 The cardboard / bristol board holds the damaged foam in place and is a protectife outer shell. The foam slows the arrow down dramatically. Against a 24 lb bow the arrows will go in roughly 3.5 inches. Against a 40 lb bow it will be about 6 inches deep. This means that your target will be able to withstand significant damage on one side before you need to switch to the other side. Further more you can always replace the cardboard / bristol board outer layer or even replace styrofoam segments of the larger target. Over time any broken pieces can also be used in your garage or backyard as smaller or even larger archery targets you craft over time. You can even paint your archery targets, but for now I am using computer print outs of archery targets of squirrels, rabbits, ducks, etc. Or in some cases zombies or Jeoffrey Baratheon (from Game of Thrones). 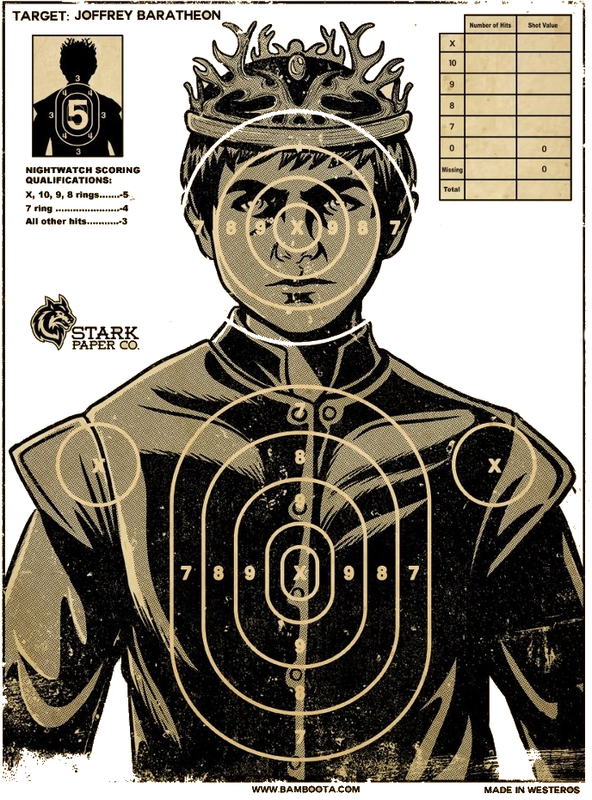 The target above used the following mock archery target from the TV show "Game of Thrones".